Q: Why are the 21st century learning skills that you discuss in your book important to young people’s development? 1) These are the proven skills that lead to success in learning, in work, and in family and community life – problem-solving, communicating clearly, working together collaboratively, using technology to find reliable information and to communicate with others, coming up with creative ideas and solutions – these are the core skills we all need to thrive in our complex and challenging times. 2) These skills help us answer questions we care about, help us creatively solve everyday problems, and help motivate us to explore and learn new things everyday, making learning meaningful, relevant, deep, memorable, and when working well on a good project with your friends, a whole lot of fun! 3) These skills help us apply what we learn to the real world, helping us tackle the big challenges of our times – getting a good education and a job with a decent income, living peacefully with others that have different ideas and values, doing what we can to solve our environmental and energy problems, and the list goes on. We really need compassionate, creative and critical thinkers and doers these days! 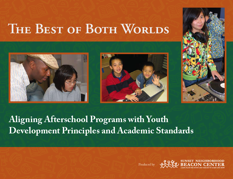 Q: How do the Learning in Afterschool learning principles correspond to the 21st century learning skills? A:The five Learning in Afterschool principles are perfectly aligned with a 21st century learning approach – active, meaningful, collaborative learning projects that provide opportunities to expand one’s horizons and master important knowledge and skills – this is the heart of 21st century learning. California's U.S. 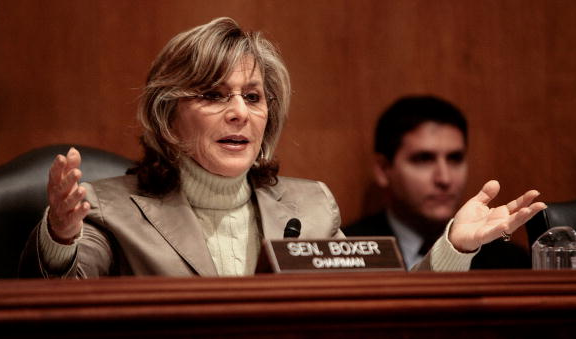 Senator Barbara Boxer has been named co-chair of the Senate's Afterschool Caucus. "As co-chair of the Afterschool Caucus, I will keep fighting to increase funding for vital afterschool programs because too many children still come home to empty houses in the afternoon and too many families cannot afford to pay for afterschool care," Boxer said in a statement. Click here for a full blog post from the Beyond School blog that discusses Senator Boxer's afterschool leadership role (EdWeek).